"Rich in history, natural resources, good hearted people, and stunning beauty, Wrangell is located in Southeast Alaska north of Ketchikan and south of Juneau. Walk the trails of naturalist John Muir, behold where Canada and the United States touch, travel up the historical and majestic Stikine River as you are greeted by palatial blue glaciers and waterfalls zigzagging down the sides of mountains." There are a few places on this planet where heaven and earth brush against one another and it is near impossible to tell the difference. 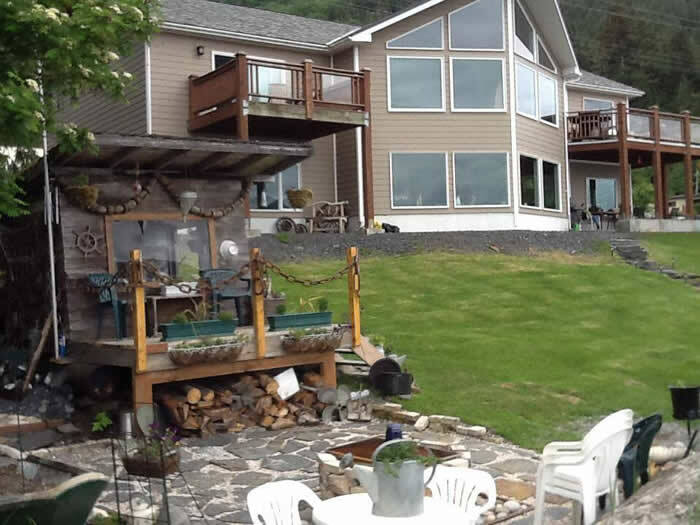 Grand View Bed and Breakfast in Wrangell, Alaska sits on the edge of one such place. You, as the most welcomed guest are invited to gaze peacefully as eagles, crows, and ravens gather on the water's edge mere feet from your comfortable, holiday home. The ocean, framed by snow covered mountains, stretches in front of you as far as the eye can see whilst fresh Alaskan air invigorates your body, mind, and spirit. 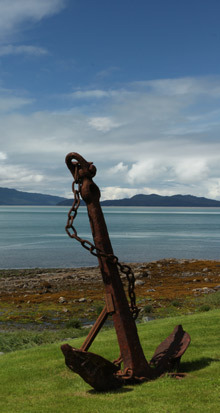 Grand View Bed and Breakfast sits in the center of this majesty in the quiet yet friendly town of Wrangell. Click 3D virtual tour and take a walk through Grand View Bed and Breakfast.